Standing stones, stone circles and stone rows are one of the most mysterious features of the British landscape. Join me on a tour of some of the most interesting and picturesque prehistoric sites. 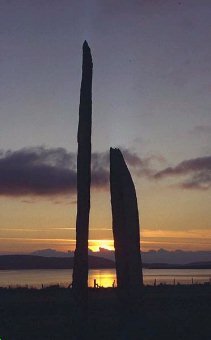 Visit the "Stone Circle" Webring home page to add your site to the webring. This site was formerly at users.aol.com/ABurnham - I've now graduated to a proper service provider!